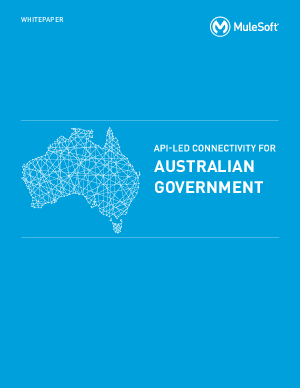 In the wake of recent legislative pressures and the formation of the Digital Transformation Agency, Australian state and federal government agencies face an imperative to deliver superior digital services to employees and citizens without a corresponding increase in budget. As a result, many agencies have turned to IT modernisation as a means of driving more cost-effective digital transformation. The key to successful execution of digital transformation initiatives depends on a new approach to integration and API strategy called API-led connectivity.